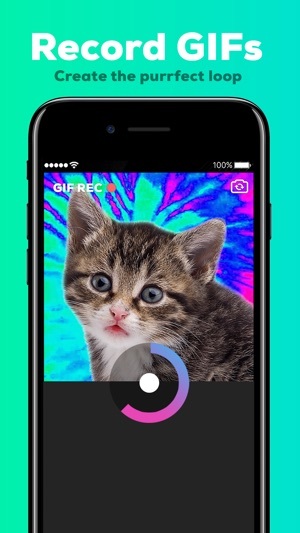 Record amazing GIFs with GIPHY CAM! Feeling creative? Add some filters or special FX! 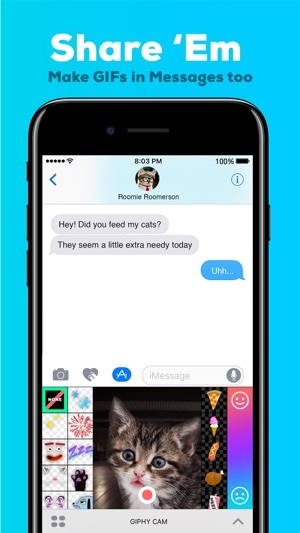 Then share the best animated GIFs via text, Facebook Messenger, Twitter, or save it to your Camera Roll for later! Making GIFs is as easy as 1, 2, 3! 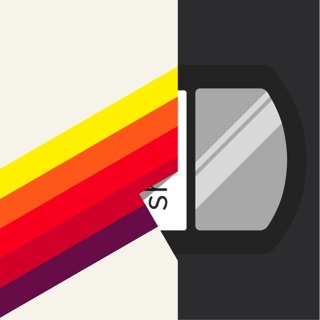 • Enhance your GIFs using rad effects, from 3Dee to VHS! 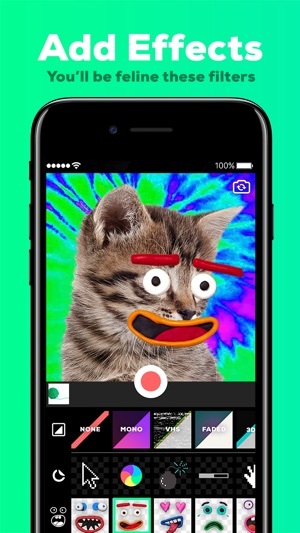 • Go crazy with face-tracked accessories, stickers, text, frames and more! 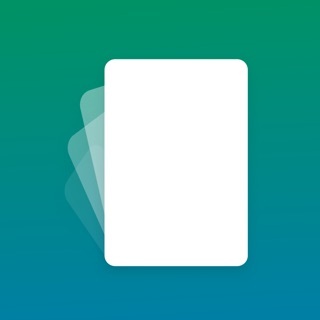 • Share you GIFs on Instagram, Twitter, Facebook Messenger or just about any place! • Feeling antisocial? Save your GIFs for later on your Camera Roll and send 'em when the mood is right. 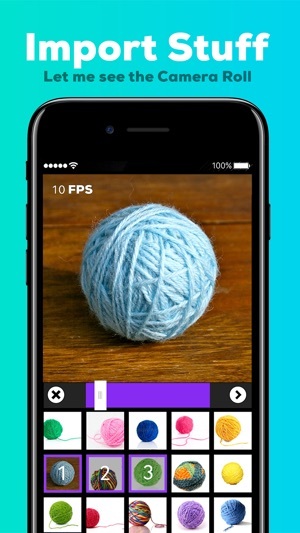 The GIF camera for all your GIF-making needs. Have any requests? Comments? Issues? Get in touch with us at support@giphy.com! Si una imagen vale más que mil palabras, una imagen animada debe valer por los menos un millón, ¿no te parece? 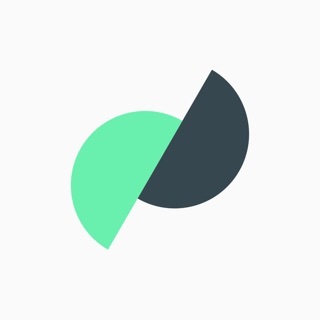 Con GiphyCam apenas necesitas unos segundos para grabar vídeos cortos y compartirlos como GIFs animados en Mensajes, Facebook Messenger, Twitter y otros canales. Además incluye montones de diseños animados, desde arcoíris y unicornios hasta llamas centelleantes. Las imágenes estáticas te van a parecer una cosa del pasado. Quiero mi dinero!! Basta ya de robar!!!!!! !